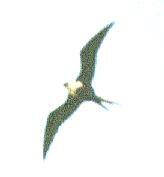 Click on the small picture to see a larger, more detailed version. 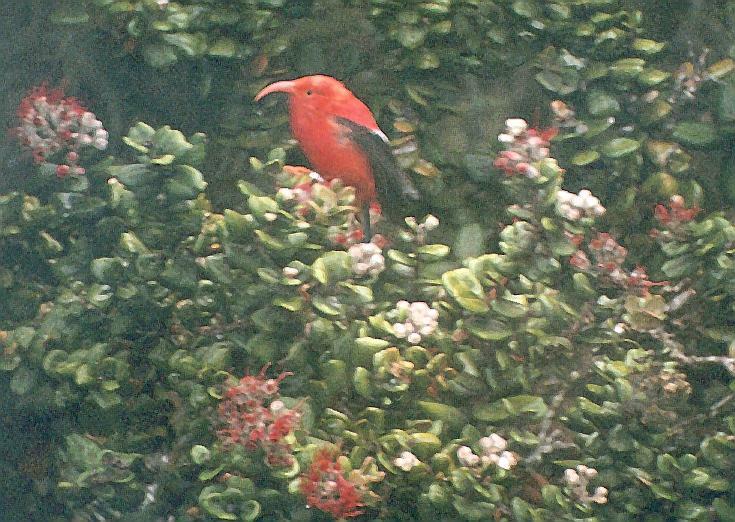 I visited the islands of Hawai'i (the Big Island) and Maui only. 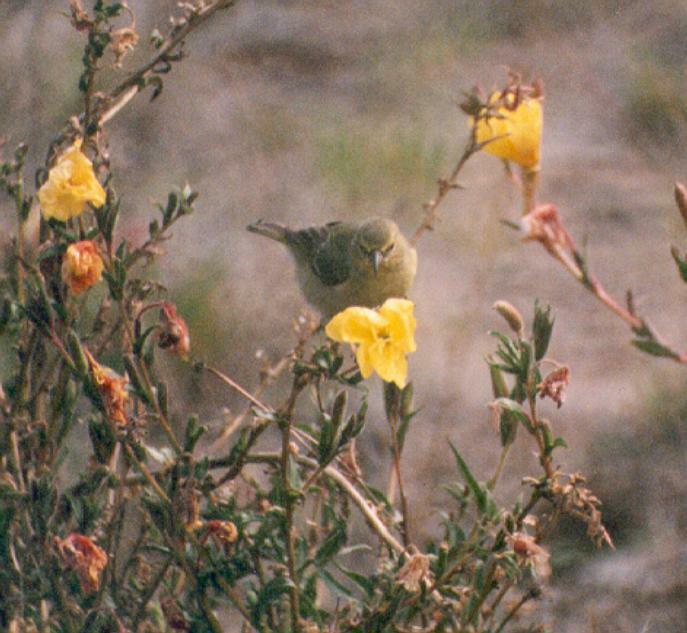 Only native species are included here, but I also obtained usable pictures of some of the many introduced species. 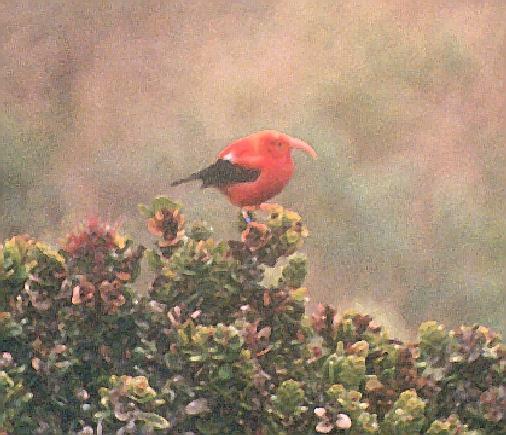 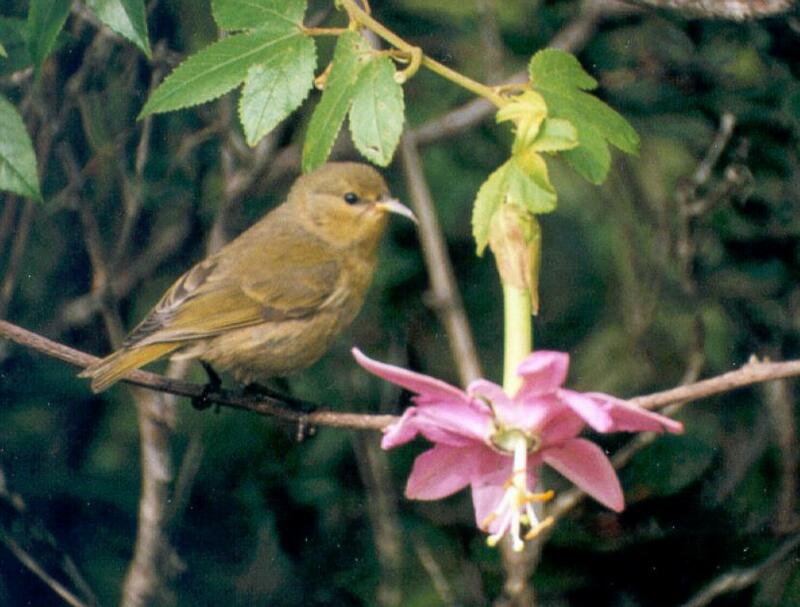 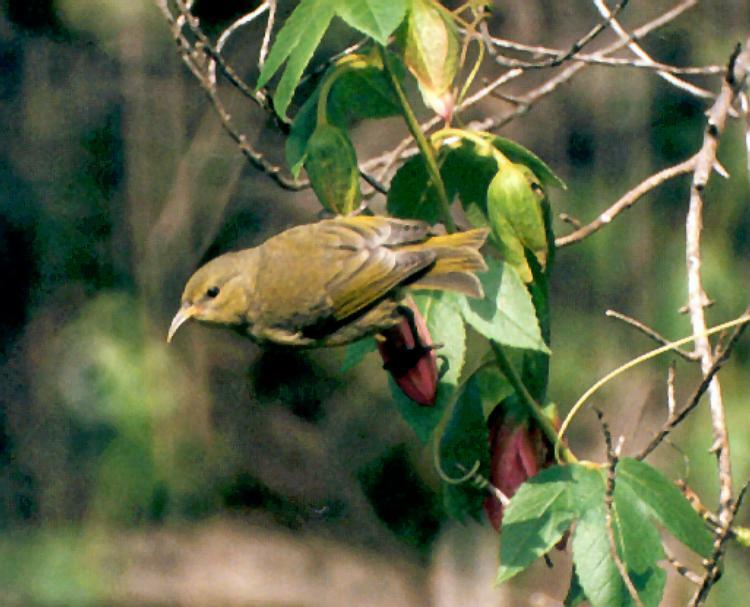 I'iwi, Hosmer Grove, Haleakala National Park, Maui, October 16, 1999. 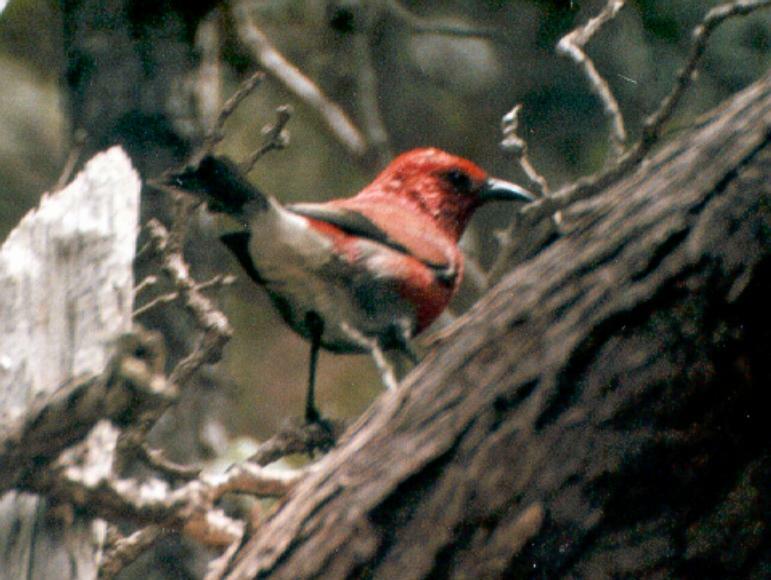 'Apapane, Hawaii Volcanoes National Park, Hawaii, October 2, 1999. 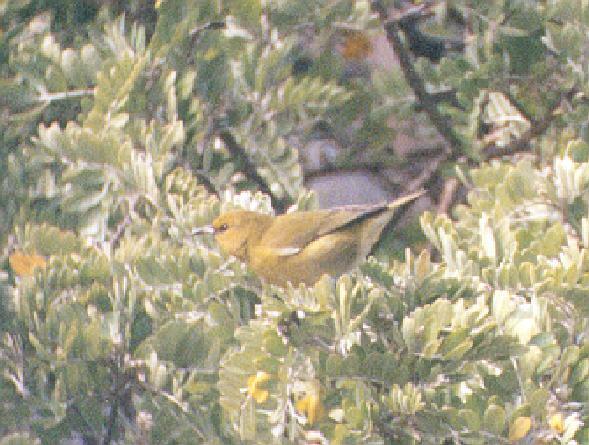 Hawai'i 'Amakihi (female or immature), Kaloko Drive, Hualalai, Hawaii, October 8, 1999. 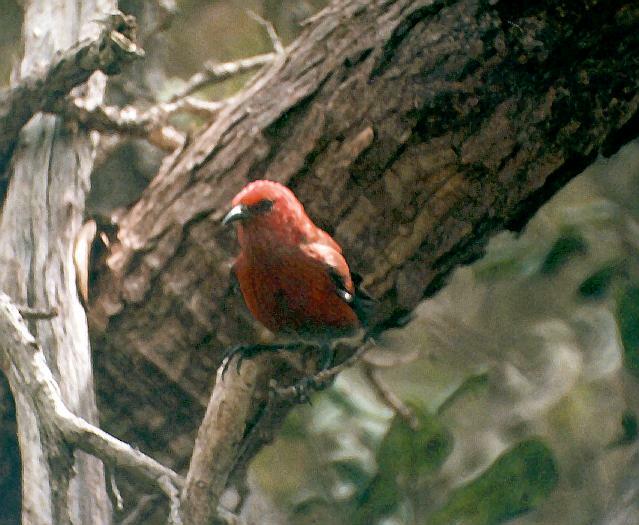 Hawai'i 'Amakihi (male), Haleakala National Park, Maui, October 17, 1999. 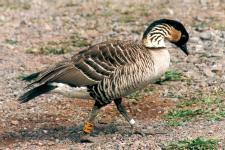 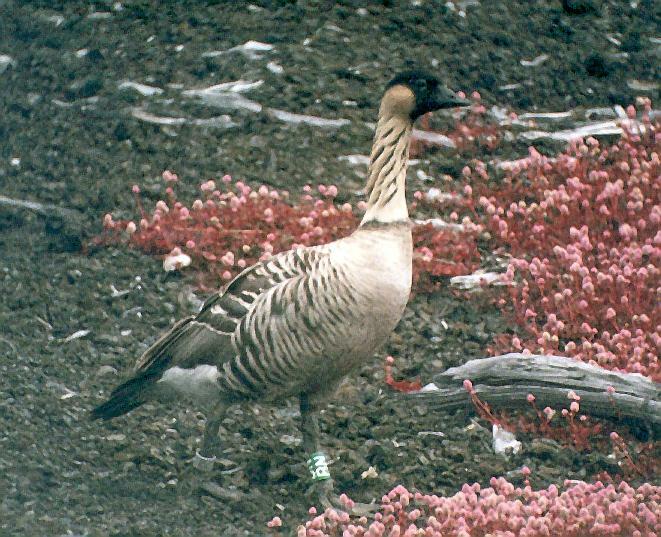 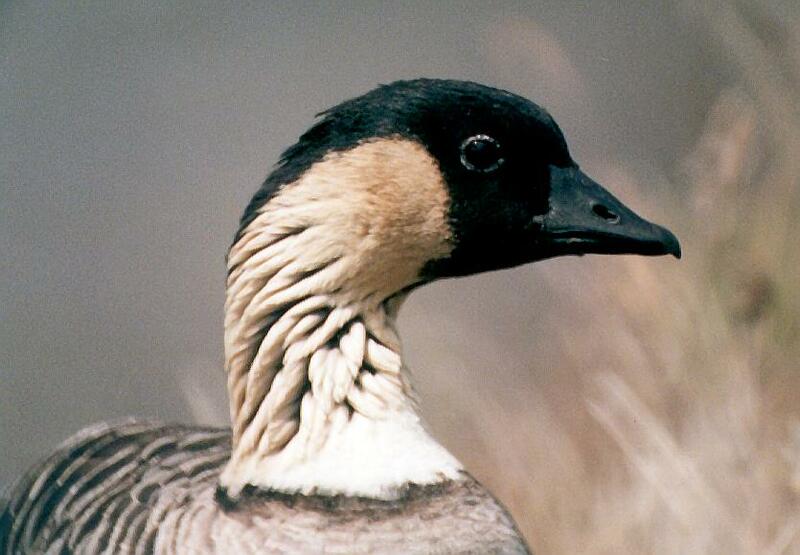 Nene (Hawaiian Goose), left: Hawaii Volcanoes National Park, Hawaii, October 2, 1999; others: Haleakala National Park, Maui, October 17 (center) and 15 (right), 1999. 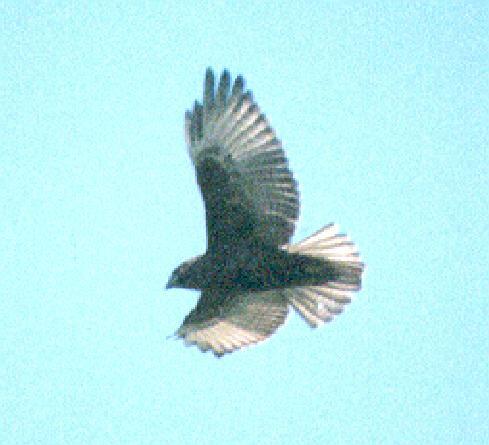 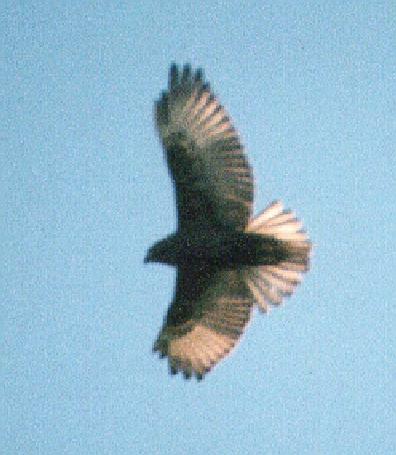 'Io (Hawaiian Hawk) dark phase, Place of Refuge, Hawai'i, October 8, 1999. 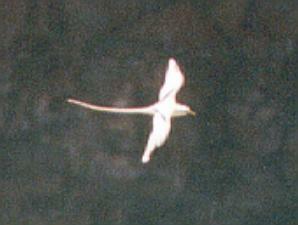 Koa'e Kea (White-tailed Tropicbird), Hawaii Volcanoes National Park, Hawaii, October 1, 1999. 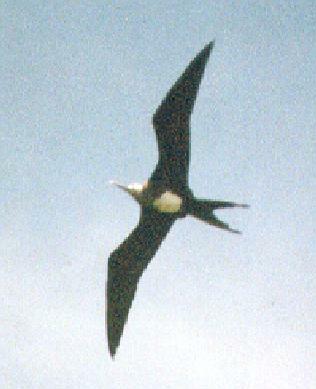 'Iwa (Great Frigatebird), female (left) and immature, Ke'anae Peninsula, Road to Hana, Maui, October 19, 1999. 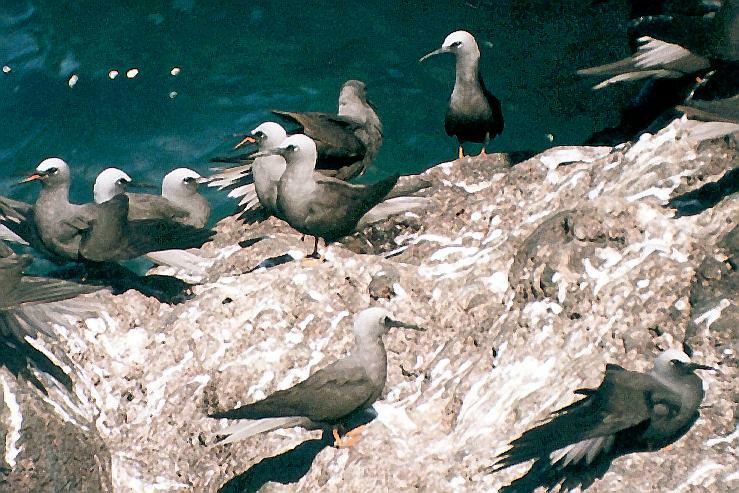 Noio (Black or Hawaiian or White-capped Noddy), Wai'anapanapa State Park, Hana, Maui, October 19, 1999. 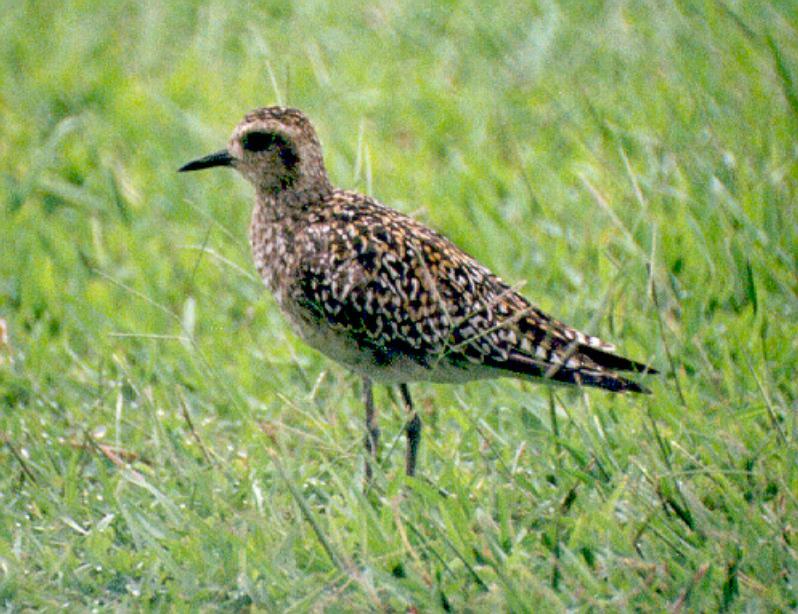 Kolea (Pacific Golden-plover), winter plumage, Hilo Pond, Hilo, Hawai'i, October 3, 1999. 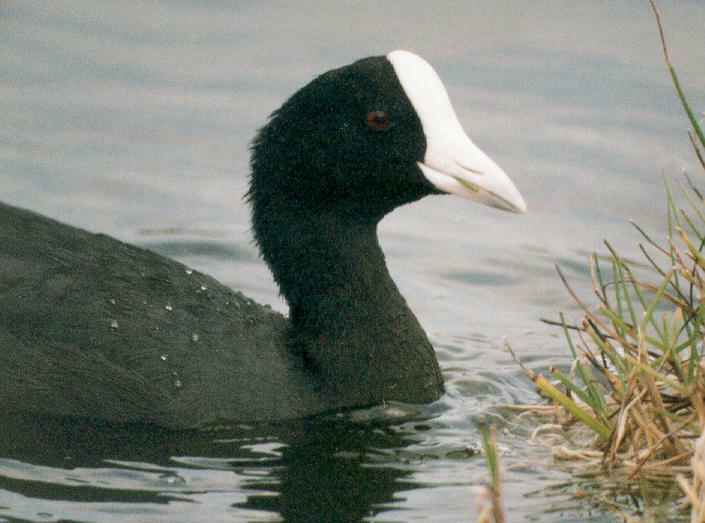 'Alae Ke'oke'o (Hawaiian Coot), Aimakapa Pond, Kona, Hawai'i, October 10, 1999. 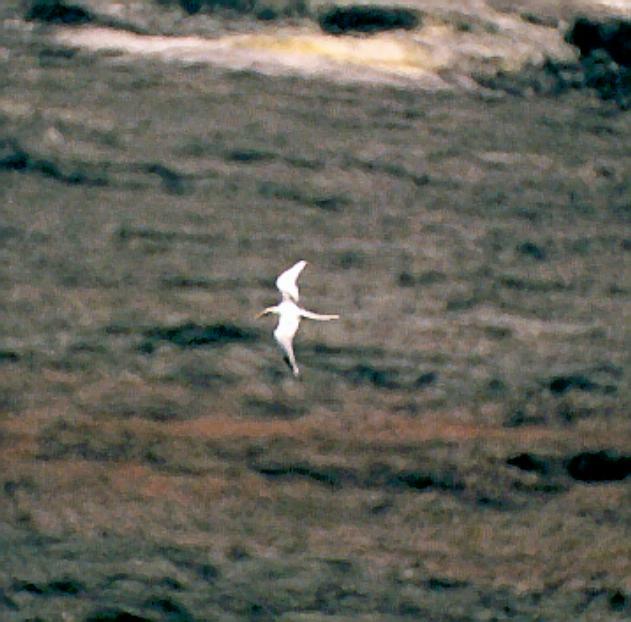 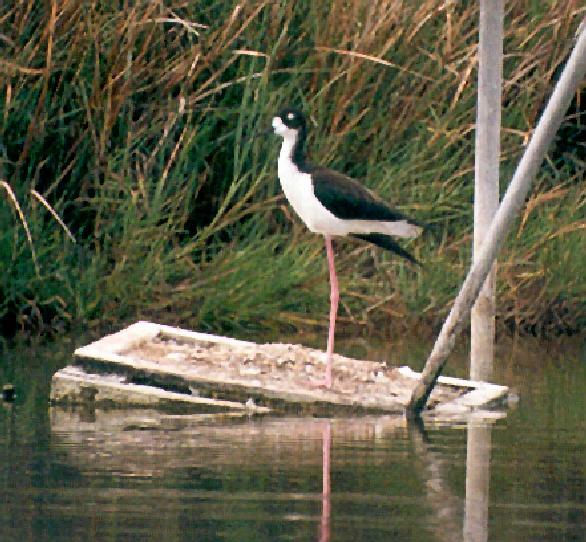 Ae'o (Black-necked Stilt), Aimakapa Pond, Kona, Hawai'i, October 10, 1999. 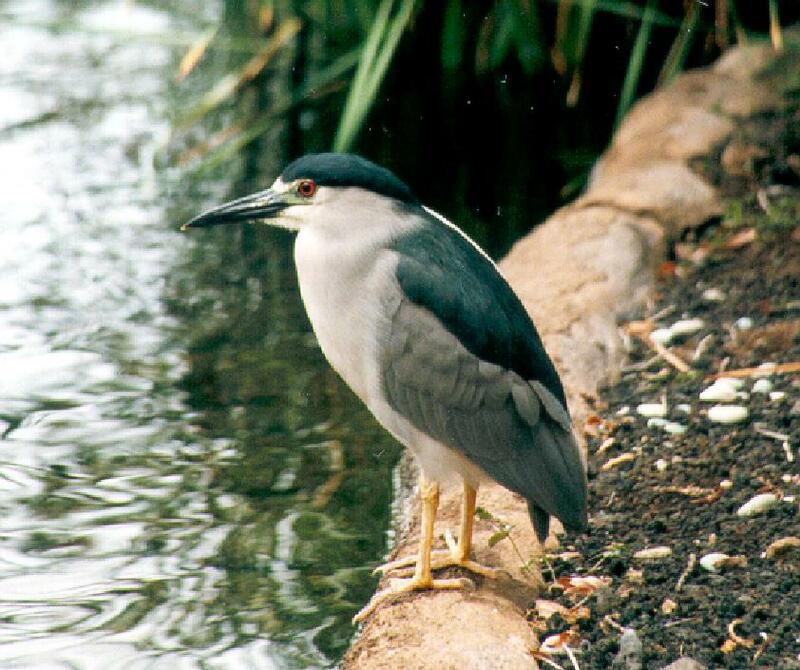 'Auku'u (Black-crowned Night-heron), Hilton Waikoloa Hotel, Hawai'i, October 10, 1999.